Anthem has launched early access for console (Xbox only) and PC users. It will be officially available for all platforms on 22nd of this month. Game will receive its first major update on launch day. It will include minor fixes and some improvements. Patch update will also contain some rotation in gameplay like balance changes. This article will tell you all the details that you should know before official release of the game. 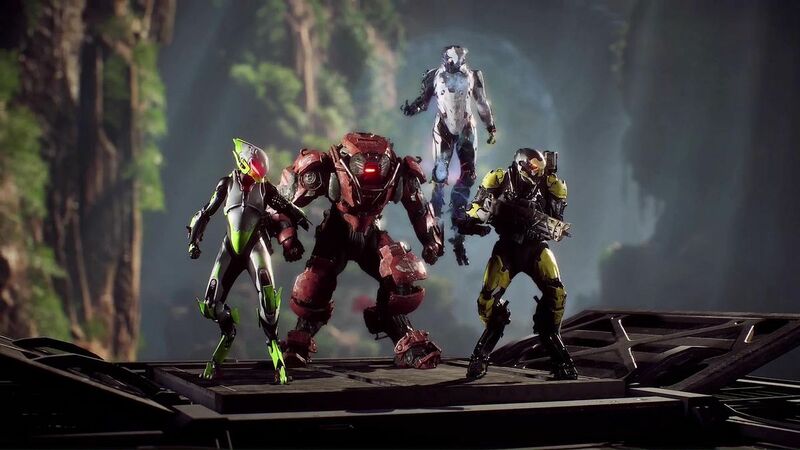 In early access of Anthem, many players have complained about slow loading of the game. It is just brutal. Sometimes, game can take several minutes to load the mission for 1 player even when his/her teammates are already in the match playing the round, Imagine that! This problem is alike for every player. Even on SSD, players are facing the issue. Upcoming patch will contain fixes for this issue. We don’t know yet whether this problem will be completely resolved or not. Still, it will be better to have some kind of update on the issue. It is normal for games made on high-tech graphic engines to contain bugs and glitches and Anthem is full of it. With extremely realistic graphics and high rendering requirement comes bugs and glitches that can ruin your playing experience. Not only do they show graphic glitches but sometimes players are forced to restart an on-going mission for no reason at all. A major issue that many players faced was that the loot box could not have dropped for downed players when the enemy dies. These bugs will be fixed in the upcoming patch on Feb 22. Player classes have received several updates and fixes. Colossus Javelin could whip out their shield quicker and better and they will be able to keep it up for the time duration during which they revive teammates. Interceptor’s will also receive some update to its combo known as “Aura”. Aura will deal more damage to enemies now. Developers have also included a fix for the bug that used to allow players to utilize the ULT repeatedly. Loading screen issue is resolved. Multiple challenge tracking problem is resolved. Many bugs have been fixed that were causing the game to crash or freeze. Expedition Summary and Loot Reveal will work accordingly. Gather party mechanic is optimized. Some players were facing the issue of screen freezing on “Recording Screen” and “Skipping All”. That issue is resolved. Javelin menu screen freeze is fixed. Challenges will unlock at suitable levels and accordingly now. Legendary Contracts will be able now on Social Hub. Enemies will have lower shield armor. Knocked out players will receive loot properly. Texture quality is improved greatly and texture bugs have been fixed. Stronghold’s final boos will drop loot now. Echo and relic time out has been resolved. There was another glitch in the game that would cause players to fall through floor in Fortress of Dawn during the 3rd trial. That glitch has been fixed. Ranger appearances will be shown accordingly after tutorial completion. Squad placement has been improved after being disconnected from the game. You will now be placed in the same squad after re-connection. “Bad Deal” mission bug has been fixed. It was showing a glitch where outlaws would not spawn and you would not progress through the mission. Expedition screen start has been improved. Chests will pile up at your Tomb of the Legionnaire progress for full squad. Scar sniper’s bullets won’t penetrate through Storm Shield. Another issue has been fixed where players would get stuck on the end of expedition screen and won’t find a way out. Connectivity issue for “Finding Old Friends” mission has been resolved. You will no longer get disconnected. Electric status effect will have increased damage. Shield of Dawn loophole has been fixed. Some players were able fix it with less than required elements. Platinum Mission bug has been fixed. You will be able to apply status effects on Titans. Stronghold server crash issue has been fixed. Sometimes game would crash after you would kill the final boss. Temple of Scar mined tunnel bug has been fixed. Players will no longer get stuck in the explosive room. Fog wall bug in Temple of Scar has also been resolved. You won’t get blocked by it anymore. Tyrant Mine issue is fixed. Now you will be able to join stronghold that is in-progress and won’t get locked away from your team. Lighting in Tyrant Mine is adjusted accordingly, making it easier for players to escape the mine. Swarm Tyrant won’t get stuck in the side entrance of cave any longer. Tyrant Mine spawning issue has been fixed. Some players would spawn on a different location in certain situations. Creating new pilot were causing freeze screen issue for many players. That bug has been fixed. You will able to apply Ice damage bonuses on ice gear without any issue. Inscription Suit bonuses will function well now. You won’t be able to salvage equipped gear. Players won’t be able to use Javelin specific gear and/or weapons on javelins they aren’t intended for. Masterwork Components issue has been resolved. They will contain inscriptions now. You will be able to activate Colossus javelin’s shield swiftly after firing a weapon or using an equipment. Storm Javelin will respond to being hit if your shield is activated. Storm’s ULT loophole has been fixed. You won’t be able to use it extra times now. Players will be able to use Colossus Javelin for both shield and revival. Interceptor’s combo commonly known as “Aura” will deliver over time damage to the enemies now. Non-Masterwork materials purchased from the crafting store will display the items according to their rarity. Minor fixes have been added for Mouse and Keyboard bugs in the game. Conversation bug has been fixed. Sometime conversations were not displayed at the reputation point. Squad tab will display precise information about every player on your team. In the previous version, there was a big that would manipulate the player stats. Subtitle getting stuck on the dialogue screen has been resolved. You won’t face this issue any longer. Xbox One players were facing the issue of no save games. Their stats would just reset upon restarting the game. That issue has been properly attended. Players will be able to turn off Motion blur from setting. This feature was not working properly in the previous version of the game. Electric Status Effect will display the damage bar properly. You will be able to hide Squad Member HUD in the game. Players will get a signal on compass edge about enemy location. Players will happy most certainly with this patch update. Share your thoughts in the comments section below.